As the prescription drug epidemic continues to ravage American citizens from all walks of life, a number of people are entering treatment due to their addiction to opiates. A new government report has found that treatment admissions for prescription drug abuse rose 430 percent from 1999 to 2009. More and more addicts have been turning away from traditional illegal narcotics and gravitating towards prescription narcotics because there is less risk involved due to the legal aspects. SAMHSA found admissions related to marijuana rose 33 percent over the 10-year period; however, those who entered treatment due to heroin, cocaine, and alcohol abuse declined. Treatment admissions for methamphetamine/ amphetamine treatment increased between 1999 and 2005, but, fortunately the number of admissions has decreased every year from 2005 through 2009. Make no mistake, prescription narcotics are just as dangerous as illegal drugs, the potential for overdose is equally high as well the risk of becoming addicted. 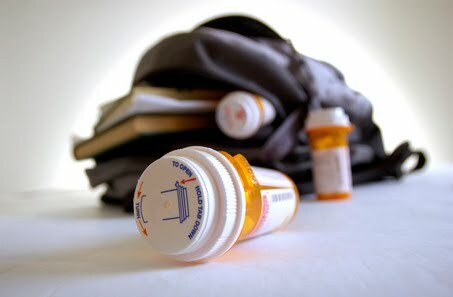 Parents need to be vigilante in making sure that when they no longer require their pain medication that they dispose of it in a proper manner to avoid the drugs falling into the hands of their children.